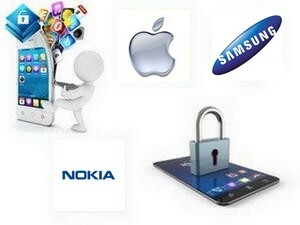 Unlock your phone at discount prices ! Your unlock online... Easily unlock your phone. Among hundreds of solutions at the best price, we help you unlock your phone with the right tool. Unblocking a phone by IMEI number. 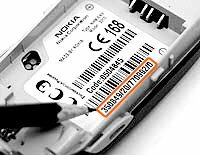 This is a unique serial number for each device, usually found on your phone's battery and in its memory. This 15-digit code is presented in a single number or in the form of 4 numbers separated by signs -, /, or space. If your cellphone has been repaired, the IMEI code may have been changed ! In all cases to obtain it, you must imperatively dial on the keyboard: *#06# and indicate in our order form the first 15 digits. Without any sign or space. Unlock an iPhone by IMEI. Unlock code: There is no unlock code on iPhone. 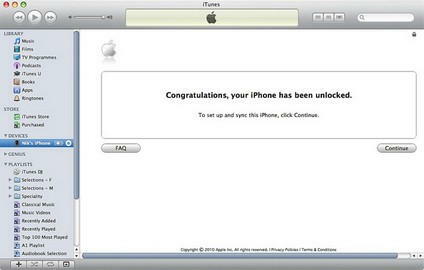 There is only one method to permanently unlock an iPhone. (in the field reserved for the unlock code ). - Connect the phone to iTunes with an unsupported SIM card. - Now disconnect the phone and reconnect after 10 seconds. - The phone is unlocked.. It is declared as such in the Apple database and will always be so even after each version update. How to unlock a phone ? Your phone is locked on a network. Like the IMEI number the unlock code of your phone is unique. Within the time mentioned on the site, we send you your code by email. By following the instructions provided in our tutorials, you just need to enter this code in your cellphone. You can use it on all networks. Select your phone and register your order. We are looking for your code.